If you have been charged with a crime, your freedom – even your life – may be at stake. You need to enlist experienced, trustworthy legal counsel who can guide you through the complexities of the law and aggressively advocate for your interests and rights. If you are facing any of these – or other criminal charges, contact us immediately. The sooner we begin our investigation, the more effectively we can defend your rights and the more able we are to prevent criminal prosecution. Our personal relationships with police, prosecutors and judges give us a substantial advantage in collecting information and negotiating plea bargains. When prosecution is unavoidable, you can be confident that we will prepare thoroughly by investigating every aspect of your case and leveraging our relationships throughout the criminal justice system. We may recommend retaining trained investigators to uncover and document important evidence. If you have been arrested, don't wait – we can help! Call today for a no-cost, no-obligation consultation. From the moment you are charged with Driving While Intoxicated (DWI) or Driving Under the Influence (DUI), time is of the essence. In Texas you have only 15 days to request an administrative hearing. What you do now is critical to limit the long-lasting damage your arrest may inflict on your life. With such severe consequences at stake, you will want to get the assistance of an experienced DWI/DUI lawyer. We can help you understand your options, negotiate a plea bargain, or represent you at trial. If the police stopped your car legally. We can arrange for expert witnesses in areas such as toxicology or fields that explain how other physical limitations or disabilities may have affected your performance during a field sobriety test. Remember, if you do not schedule an administrative hearing within the state's time limit, then your driver's license will be suspended for the maximum time allowed by law, and other serious penalties may occur. If you've been charged with an "impaired driver" offense – from first offense DWI or DUI to subsequent offense to Aggravated DWI/DUI and Negligent Homicide – let us put our experience and expertise to work for you. To begin your defense, contact our firm now. These charges often carry severe penalties, including jail time. If you have been charged with one of these crimes, you will need an aggressive lawyer working on your side. Contact our office today to get the representation you need. Defend your rights and protect your future – contact us now! When you need a family law attorney, we are here for you. We help clients successfully address the legal issues that affect them most personally. Family matters, which can be legally complex, are deeply personal and often emotionally charged. To make sound decisions about issues that can have lifelong ramifications, you need the support and understanding of expert counsel and, if necessary, aggressive representation. Often a family legal situation does not end with an agreement or court order; as families grow and change, adjustments may need to be made to accommodate those changes. Therefore, our representation does not end at the negotiating table or in court. We stand beside you throughout the legal process. 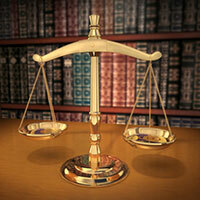 In fact, our interest goes beyond the legal issues you may be facing today. Our history of cultivating lifelong – sometimes, multi-generational – relationships with our clients reflects our commitment to earning your trust. You can rely on us to provide wise legal counsel in all family matters over the long term. Find out how our advocacy can support your life goals – contact us today for an initial, no-cost, no-obligation consultation. When you are embroiled in a legal dispute, your adversaries need to know that you have the will and ability to bring the matter to trial if it cannot be resolved through other means. If the matter does go to trial, you want an experienced and successful trial attorney on your side to protect your interests, contain your risk and exposure, and improve your chances of a favorable outcome. Our focus is on arbitrating and litigating legal disputes for our clients. Although many firms say they litigate, they do not always have much actual trial experience. We work hard to settle disputes before they get to court, but our track record shows that we do not shy away from the courtroom when it is in our clients' best interest to litigate. Although the trial is the most visible part of litigation, it is the work outside the trial that largely determines the outcome in court. Thorough case preparation is critical to any successful lawsuit, including research of the law, document review and organization, and witness interviews. Our track record is the result of exhaustive trial preparation and skillful litigation strategies. While there are times when litigation is unavoidable – or even desirable, often it is most expeditious to resolve matters outside court. In fact, our discovery skills and pretrial tactics often spur adversaries to seek favorable settlement terms in lieu of going to court. When trial is not the best alternative, we are well practiced in settlement negotiations, arbitration, and mediation. Explore your options with the experts – contact us today! If you or a loved one has suffered injuries caused by another, our legal system provides methods for obtaining justice. Although legal remedies cannot heal your injuries, they can provide monetary compensation for your medical expenses, loss of earnings and earning capacity, pain and suffering and other non-economic losses. We have successfully represented personal injury victims. Our comprehensive knowledge of state and federal laws governing accidents, insurance and liability has enabled us to win full and fair compensation for our clients in cases that range from wrongful death cases to back and neck injury cases. While many personal injury cases are resolved through direct negotiations with an insurance company, sometimes a matter cannot be satisfactorily settled without going to court. Should your case require a trial, we may enlist experts in medicine, forensics, engineering or other fields to aggressively represent your legal interests in the courtroom, ensuring you receive the compensation you deserve. Preserve Your Rights – Act Now! Now is the time to contact us if you have suffered an injury. Since personal injury cases are subject to a statute of limitations that restricts the time you have to file a claim, it is important that you enlist competent legal counsel as soon as possible following an injury. Your initial consultation is free and without obligation. Should we proceed with a legal case, you will not be charged a fee unless your case is successful. If you or a loved one has been injured, don't delay – contact us today for a free consultation.